Reliance Jio has once again updated its tariff plans as the company's Dhan Dhana Dhan offer comes to an end this month. The company has updated its existing plans with longer validity and has added two new plans that will appeal to Dhan Dhana Dhan subscribers. The revised plans are primarily aimed at convincing customers to stick with the service at the end of Summer Surprise offer. Reliance Jio's recharge plans continue to start at Rs 99 and go all the way up to Rs 9,999. The plan remains the same as before with recharge of Rs 19, Rs 49, Rs 96 and Rs 149. With the recharge of Rs 309 and Rs 509, users got 56 days validity as opposed to 28 days validity offer earlier. The Rs 309 and Rs 509 recharge offers 1GB and 2GB 4G data per day respectively along with unlimited calls and SMS. With the recharge of Rs 19, Jio users get 200MB data with a validity of 1 day while Rs 49 recharge offers 600MB data with a validity of 3 days. Jio Prime subscribers get 1GB unlimited data per day for 7 days with recharge of 96 and 2GB data with a validity of 28 days with recharge of Rs 149. Jio has revised its Rs 999 recharge plan with 90 GB unlimited data for 90 days as opposed to 60GB data previously offered for 60 days. The Rs 1,999 recharge plan offers 155GB unlimited data (up from 125GB) and has a validity of 120 days (up from 90 days). Jio Prime subscribers can avail 380GB data for 210 days with a recharge of Rs 4,999 and Rs 780GB data for 390 days with a recharge of Rs 9,999. 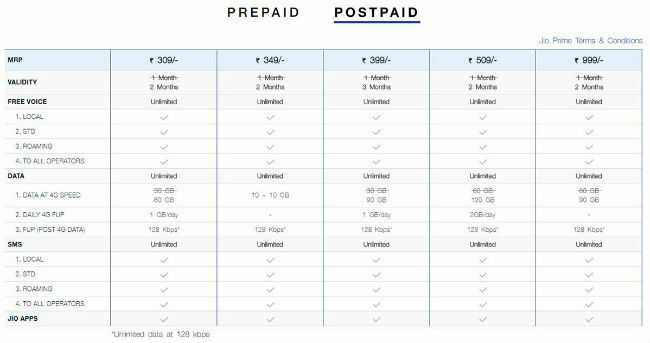 Reliance Jio has also added the newly introduced Rs 349 and Rs 399 plan to its postpaid subscription. With Rs 349 postpaid plan, Jio users will get 20GB unlimited data without any cap on consumption for two months. With Rs 399 plan, Jio is offering 1GB data per day for 90 days. On both plans, data speed will be reduced to 128kbps post high-speed data usage. 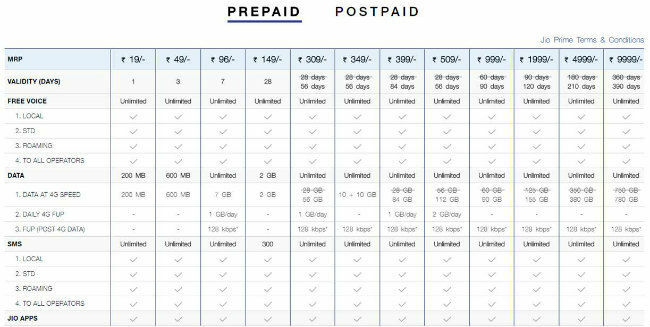 Jio postpaid users continue to get an option of recharging with Rs 309, Rs 509 or Rs 999. Reliance Jio claims to have added over 120 million subscribers since its launch in September last year. However, its subscriber additions have started to slow down since it started moving customer from free model to paid model. 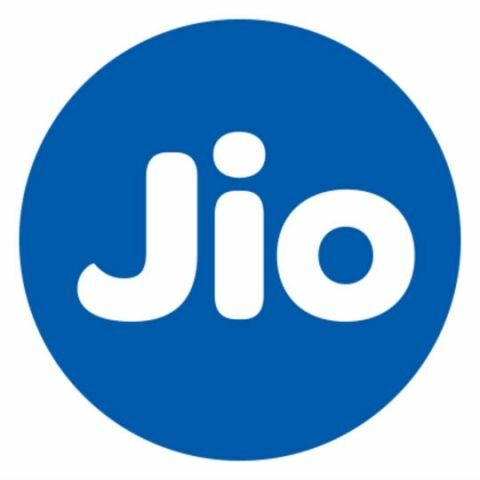 With the new plans offering double data benefits and validity of existing plans, it continues to remain competitive against peers but will Jio users stick is a question worth pondering.